Manuka honey costs an arm and a leg, the classic, squeeze-able honey bear is a wee bit childish, and the provenance of the basic stuff from the grocery store can be a real mystery. Maybe you've considered branching out at tea time with honey still in its comb, but the prospect of removal seemed dauntingly waxy. Good news—it isn't! 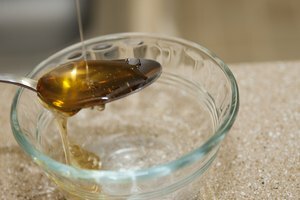 Besides the fact that still-in-the-comb honey is a great quality sweetener, getting honey out of that honeycomb is easy, with the right techniques. Should you be concerned that step one is "buy an extractor," remove that contraption from your Amazon cart. Ancient art depicts human honey collection beginning as far back as 40,000 years ago, and you, like your forebears, shall go about extracting honey from the comb with two hands and some simple tools (and by the way, extractors are really for professional beekeepers, not kitchen comb enthusiasts). Upon your be-combed return from the health food store or local honey farm, gather a cooling rack, sieve, and spoon—home honey extraction is really this easy. Tip: If you're working with a large piece of honeycomb, you'll want to cut it into smaller, easier to deal with pieces. Clean the knife between each cut to avoid a sticky mess. Get a sharp knife. Carefully slice a thin layer of wax off one face of the comb. What you're doing here is opening the comb's cells, so the honey can drip out. Place the freshly cut comb or comb pieces on a cooling rack over a bowl, cut side down. Let the honey drain into the bowl. After a few hours, you should be done getting your honey out of the honeycomb. If the honey seems to have retained some wax bits, let it sit, covered, for a few more hours. You should be able to easily skim any non-honey organic material off the surface of your sweetener. Get a bowl or a deep baking dish which you'll be able to easily fit under a kitchen strainer. Line your kitchen strainer with cheesecloth, and stand this over the bowl. With a pestle or wooden spoon, completely crush the honeycomb cells in the strainer. Most of the honey should be released during the crushing, but if you let this stand in a warm place (though not so hot you get melted wax), you'll find that the rest of the honey has drained out. Thanks to the cheesecloth, this method shouldn't require any skimming or further straining. 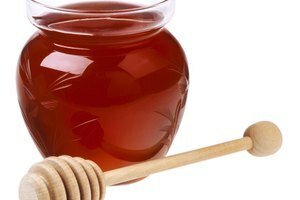 However, if you used only a sieve and there seems to be stuff floating around in your honey, let the honey sit until it separates, then skim the top. So, ready for a career in beekeeping? In that case, you might need that honey extractor, after all. But even if your comb-crushing experience and somewhat sticky kitchen hasn't nudged you toward a hive of your own, surprisingly easy, DIY honey collection should deliver an even more satisfying tea time—and never leave you adrift at the farmers' market honey stand, again. 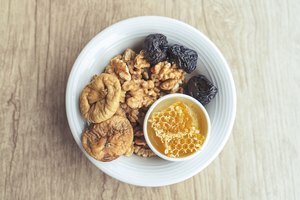 Sciencing: How Can I Extract Honey From a Wild Beehive?